We decided to go on a run after work today due to the gorgeous weather! I wanted to be able to run in the light and sun, instead of in the dark morning. It felt so warm – I loved it. We were famished by the time we got home and decided on a simple dinner. 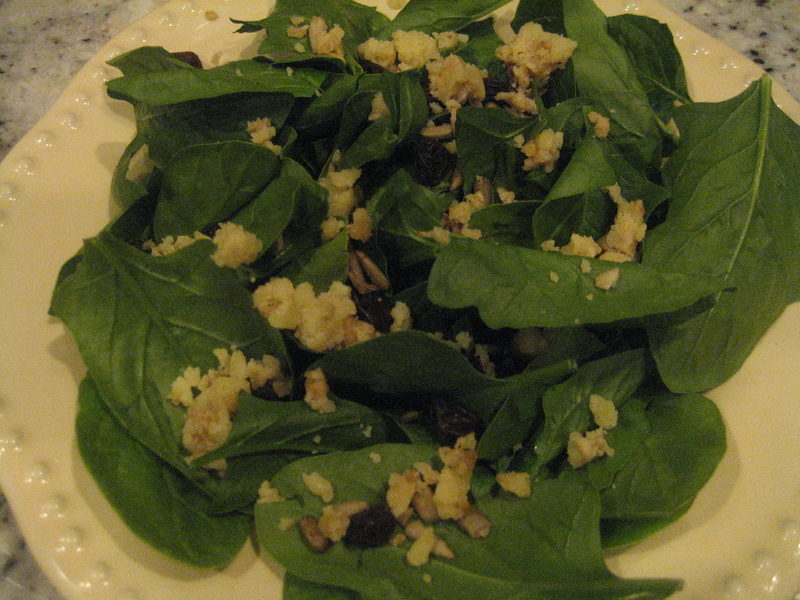 First up, was a salad with spinach, raisins, kaia sprouted garlic & salt sunflower seeds, cheddar cheese crumbles and dressing of agave & olive oil. 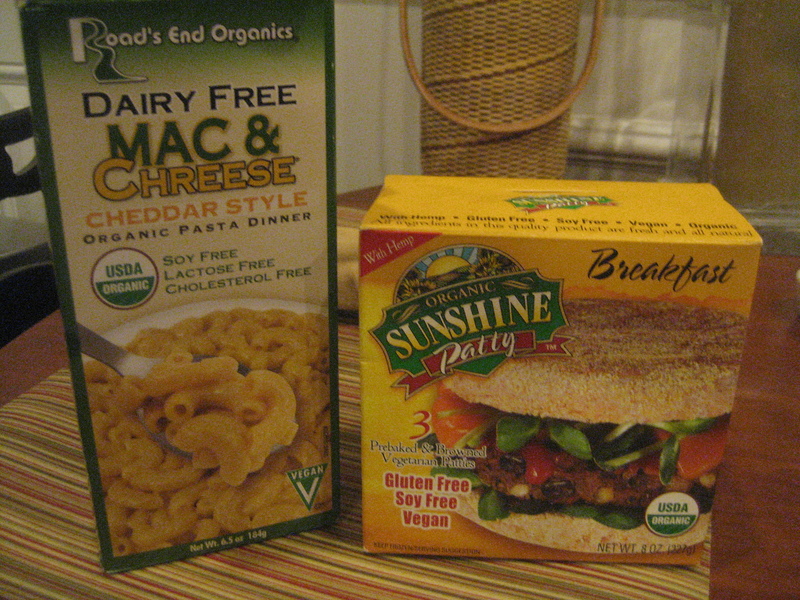 Next up, we made a box of this new vegan mac & cheese I picked up. 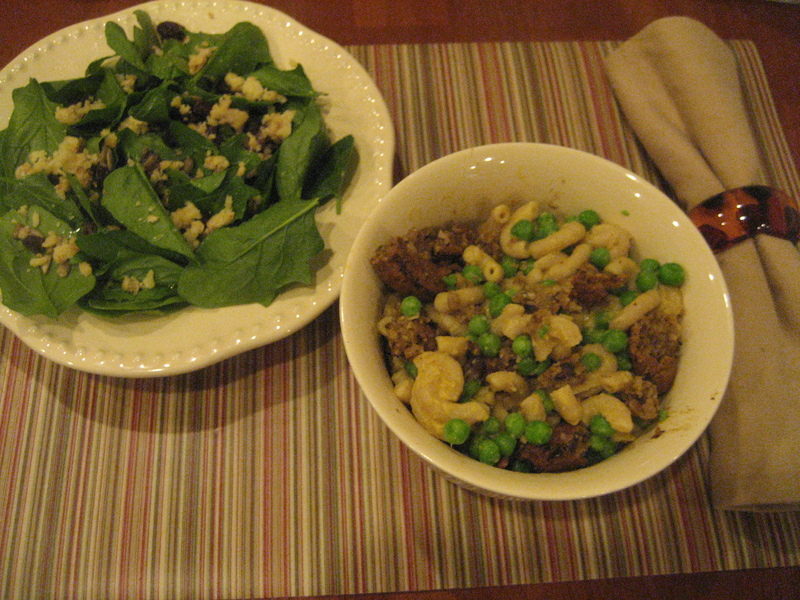 Into the mix went some peas and a crumbled up Sunshine Patty. These sunshine patties are awesome veggie burgers. 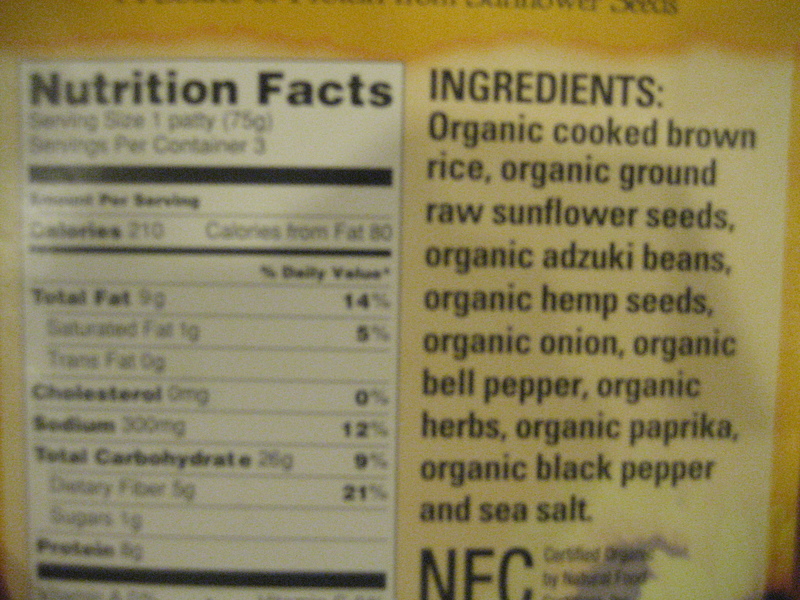 Just check out the list of ingredients on the package. A few people have asked me about my favorite veggie burgers. Well, my favorites are when I make them myself like these and these. But, when I buy them at the store, I look for veggie burgers with the least amount of ingredients. Dr. Praeger’s makes delicious one’s with minimal ingredients, but these Sunshine Burgers have an even better list of ingredients! I baked the burgers in the toaster oven for 10 minutes while the mac & cheese was cooking. 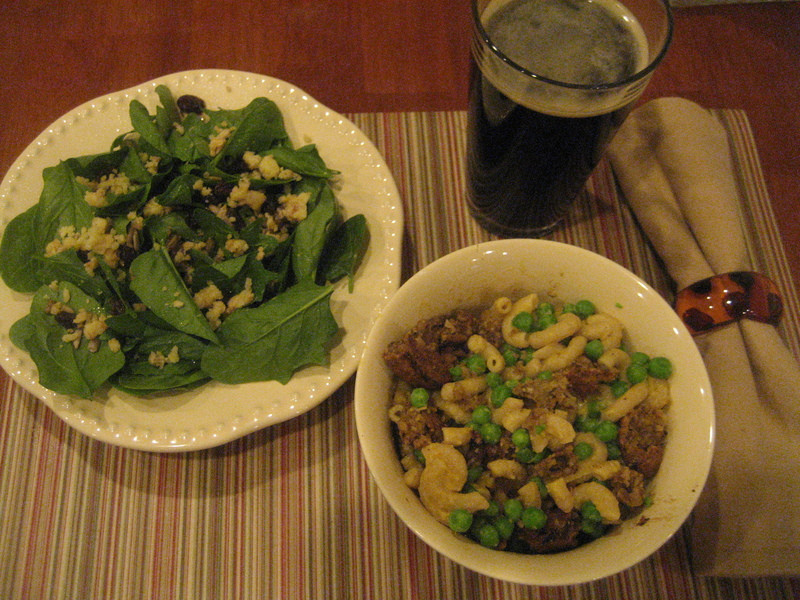 Then, I mixed everything together in a bowl per Ryan’s recommendation! This was really good! We both loved it! It’s St. Patty’s Day, so obviously, there was beer. 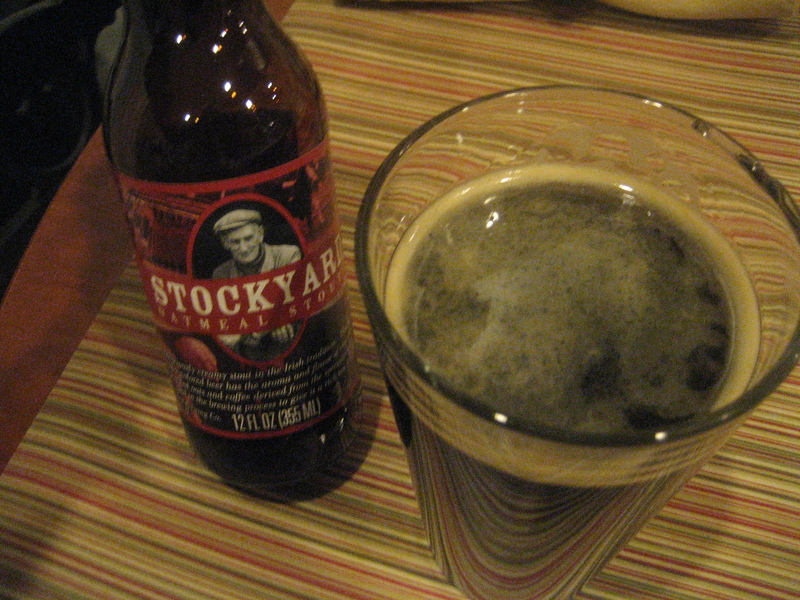 Oatmeal Stout – yum! A great super quick dinner for a busy weeknight. 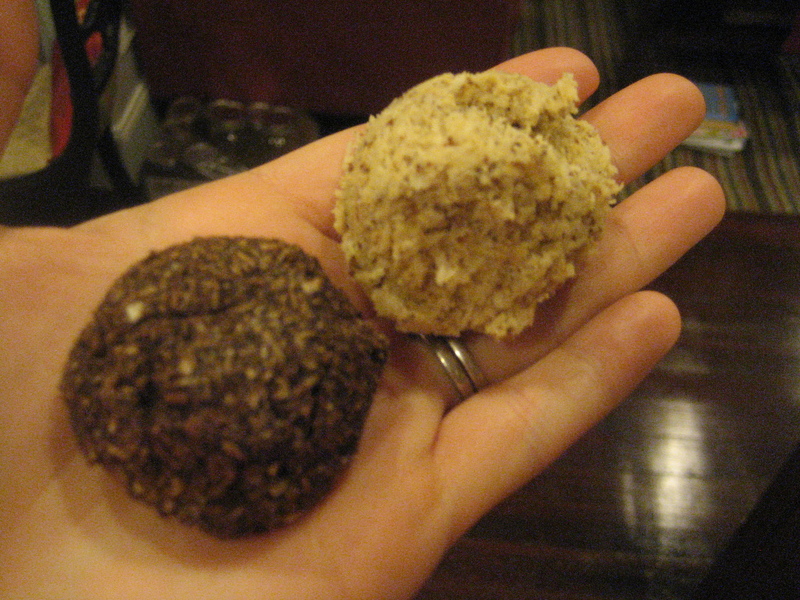 For dessert, a few macaroons, of course! I have a busy day tomorrow, good night! I love peas in mac n cheese!